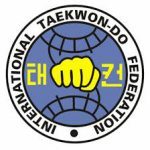 How can TaekwonDo benefit Children? In many ways…. Taekwondo, originating from Korea, and possibly now the world’s most popular martial art, can certainly help your child to learn to defend themselves. But what are the other benefits for children learning TaekwonDo in today’s world? And, best of all - having FUN! It’s good to see fit children who are a healthy weight. Sadly, many children today are overweight, mainly because they are inactive. Yet they continue to eat high-calorie foods. Human bodies are designed for exercise – to run, jump, get out of breath… that’s what kids are supposed to do. And guess what – when they do, they love it! Kids love physical exercise. This is one of the huge benefits of TaekwonDo – they get fit and stay fit, and they love doing it. They love coming back for more. The tough physical training allows them to let off steam. They love kicking and punching under controlled conditions. But they also learn about self-control, and how TaekwonDo has to stay in the Dojang. They learn from great role models - fit, healthy, controlled TaekwonDo instructors and senior students. Being fit and healthy gives kids a positive body image. And learning to face confrontation and fear and powering through wooden boards develops self-esteem and self-confidence. Kids learning TaekwonDo get physically and mentally stronger, which helps them in daily life. Taekwondo isn't just a physical training - it's a mental training. 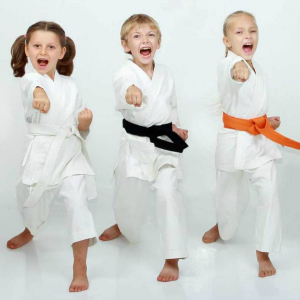 Taekwondo kids learn complicated movements which help their concentration and memory. And they learn to coordinate their bodies. They learn discipline. They learn to do as they are asked, and they gain the self-discipline to keep going when training is tough. Taekwondo kids learn to respect their Instructors, and to respect each other. In time, they learn to respect themselves. They learn to be polite, even to people they may not like, which is a great skill for them to take with them into adult life. Taekwondo kids also learn Perseverance. They learn that if something is difficult but worth achieving, then for them to achieve it they have to keep trying. They have to face failure and get over it. And pick themselves up and try again. And again. And eventually, they get it! The sense of achievement and pride is fantastic to see on their smiling faces! It's a great boost to their self-confidence and self-esteem, which is a major benefit. We have seen many, many children become surer of themselves, and gain the confidence to speak in front of the class. At gradings, they perform difficult moves in front of an examining panel. They eventually develop the confidence to teach others, and in doing so they learn patience and kindness. We see kids develop into calm, self-assured young people. Quietly confident in themselves, with high self-esteem. People with high self-esteem are less likely to get involved in destructive behaviours like drug taking or alcohol abuse. And that self-confidence means that they are less likely to be bullied at school - another of the massive benefits of TaekwonDo for children. Each month we offer a new badge that our juniors can be tested on, based on their proficiency in a single technique. These badges can be sewn onto the arm of their Doboks and are a great way to encourage our junior students to get the best from themselves. For more information please visit our Blog. 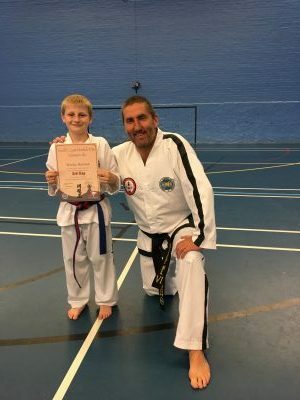 If you think that TaekwonDo training might benefit your child, with some or all of the benefits discussed above, then please get in touch with us. We have huge experience of training kids of all abilities, shapes and sizes, and seeing them develop and grow. It is, perhaps, the best part of TaekwonDo training. Get in touch with us to book your child’s 2 free training sessions.